Offer these these beautiful pearl Cross frames as favors at your communion, confirmation, baptism or other Christian religious event. They can also be used to indicate table numbers. 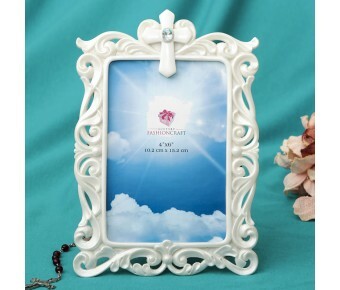 This frame is made from poly resin and features a stunning Baroque design crafted in an openwork pattern. A raised Cross with a clear rhinestone creates a focal point at the top. The frame is finished in a lovely pearl white color and holds a standard 4x6 photo. 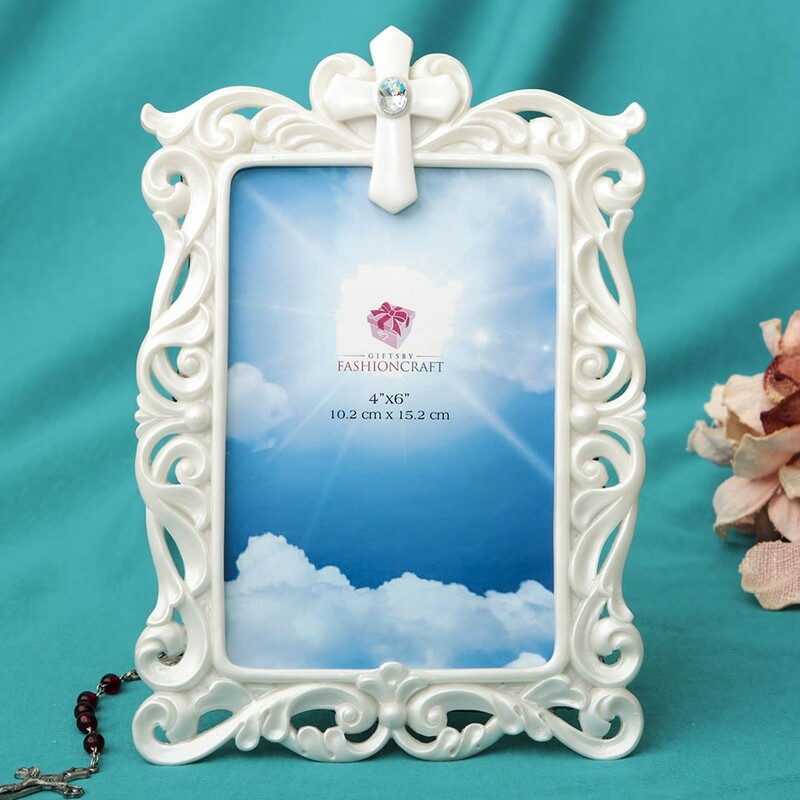 Add value and choice to the Christian religious themed shelves in your store with this beautiful openwork Baroque frame. Size 8" x 5 1/2"